Land Of The Free, Home Of The Rave, the incredible book about the exciting days when electronic music exploded across America! Written by electronic music photojournalist Michael Tullberg, DANCEFLOOR THUNDERSTORM is the ultimate rave insider’s account of the biggest and most outrageous parties in the 1990s and 2000s, with the biggest rave DJs on the planet! WITNESS the rise of electronic music from its amazing underground beginnings! WATCH as the rave scene grows in size and influence, creating an enormous new audience for the music—an audience that wants to PARTY! BE THERE with an all-star roster of incredible artists at their raving peak, like Carl Cox, Paul Oakenfold, Fatboy Slim, Moby, Massive Attack, the Crystal Method, Sandra Collins, the Chemical Brothers, DJ Rap, Josh Wink…and MORE! Quantities are limited, so order your copy TODAY! 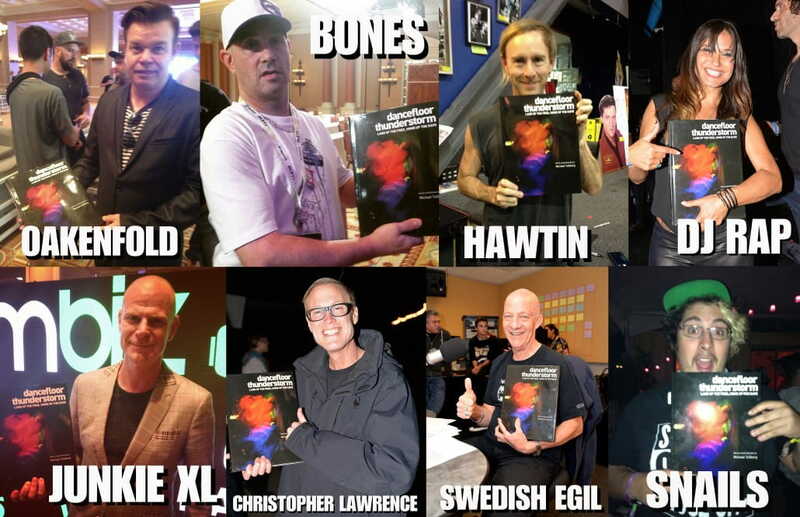 The book already has support from all-star artists like Frankie Bones, Paul Oakenfold, Richie Hawtin, Christopher Lawrence, and Ken Jordan of the Crystal Method.